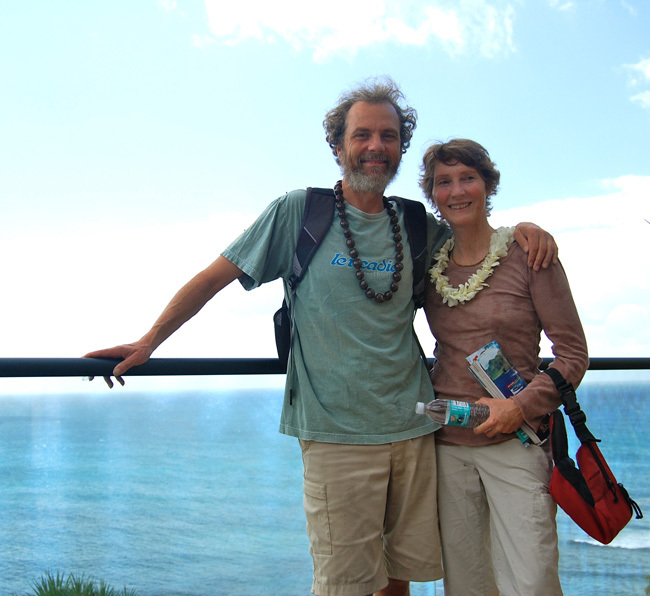 Hi Friends, we’re just back from our trip to Kauai. 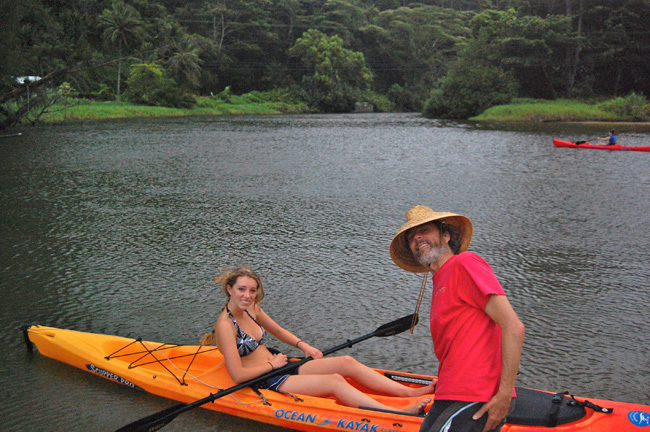 We had a fantastic time and filled our days to the brim with kayaking, swimming, hiking, surfing, snorkeling, music-izing, eating, resting, daydreaming and a little worrying about how life would be once we got back home and had to kick the real responsibilities into gear. Let’s just say, now we’re in the house and the almighty email inbox is overflowing. 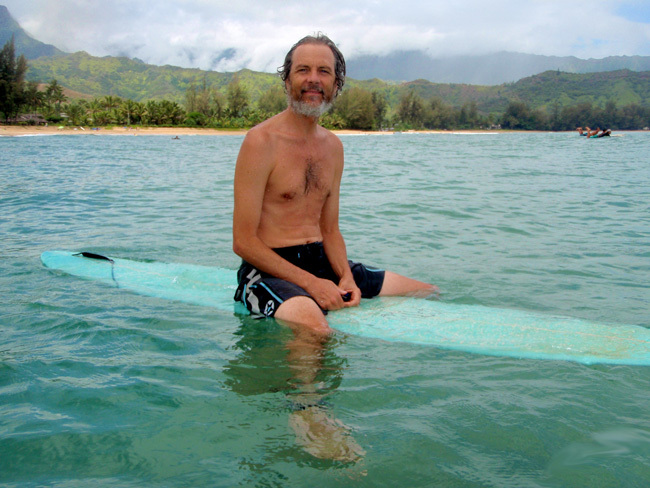 Luckily we’re bringing a lot of the Hawaiian earthy wisdom into the mix meshing with the California Over Achievers 101. It’s a good life! 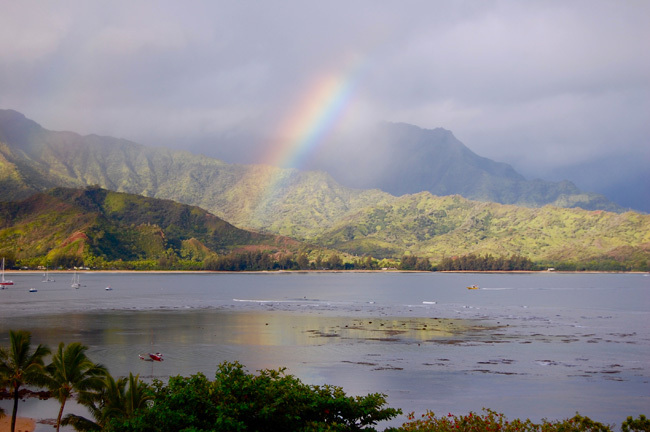 Waking up to the Hanalei Bay Rainbow Show! It's almost as if Hollywood was there in the background arranging the details for visual perfection. 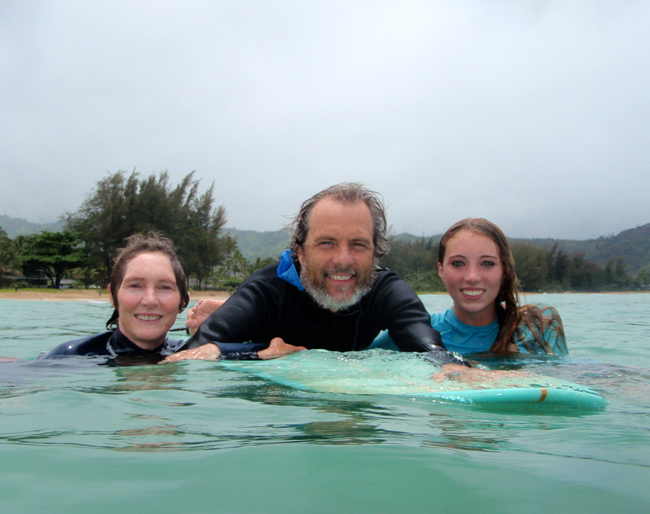 The Sprague Trio conquering the surf at Pine Trees! That's Stef on the left, me in the center and our daughter Kylie on the right. 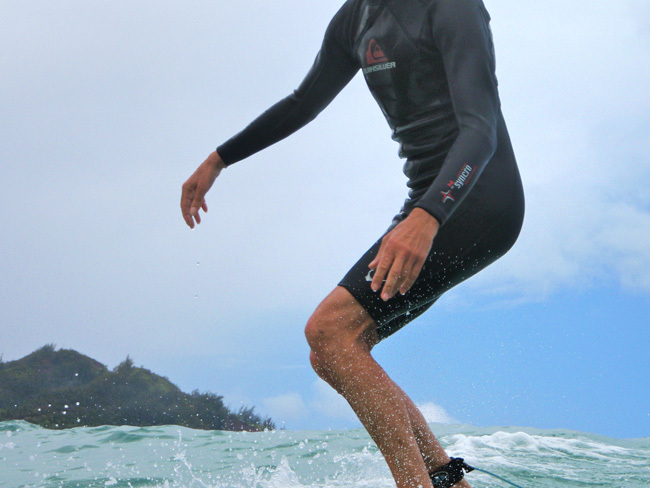 The headless surfer rides again! 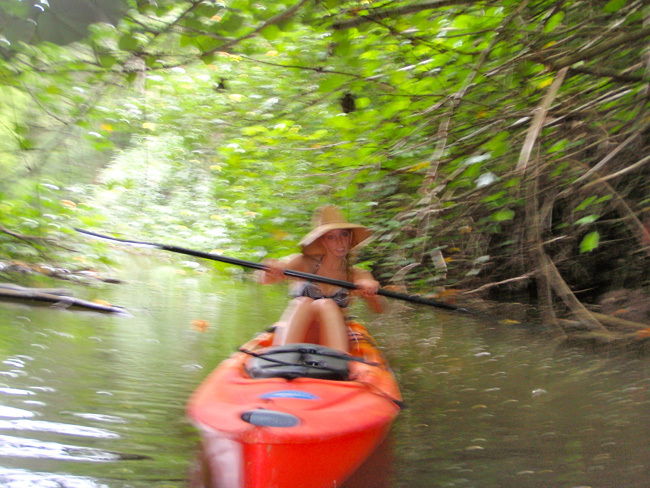 Ky launching out on a kayak exhibition up the Kalihiwi River. 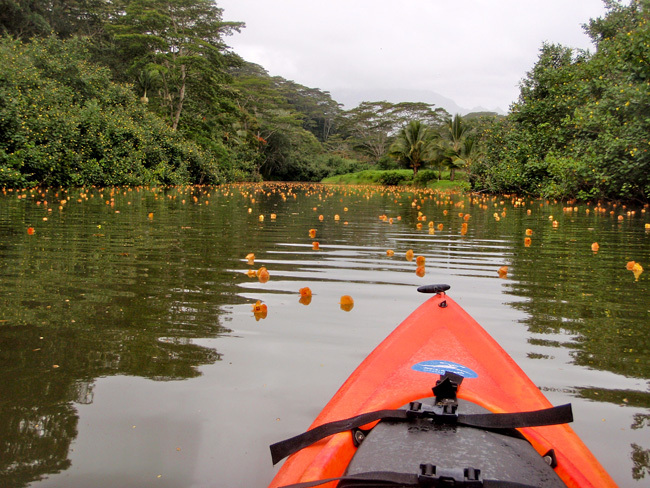 The river was decorated with beautiful yellow flowers. Wild woman on the loose! Stef and I enjoying the good life at the St. Regis Princeville Resort. 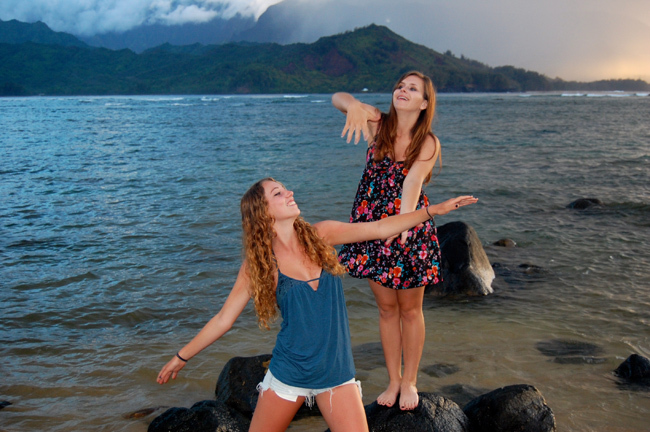 Kylie brought her good friend Sam along on the trip and here they are pranking around at sunset. I love this photo! I'm at home in the water. Here, the last thing on my mind is that busting at the seams email inbox clamoring for my attention. 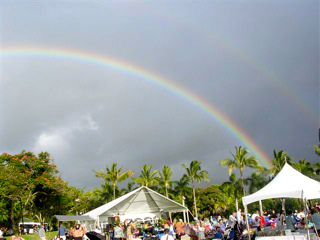 This was the setting for the Red Clay Jazz Festival  outside with rainbows included. We had a fantastic show and we send our sincere thanks to Judy Arrigo and Char Dyer for including us in the lineup. It was great sharing our music with the blissed out folks of Kauai. We can't wait to return! For this week I’m thrilled to return to my solo guitar gig at the Roxy on Thursday night. I miss the place! I’ll be playing there less in July and August as I’ve got some touring coming up plus some other in town hits that happened to land on Thursdays. I hope you can make it out this week. Also at the end of the week Tripp, Gunnar and I will play the trio gig at Harry’s in La Jolla. It’s a good moment of excellent food blending in with some good jazz. Consider it. 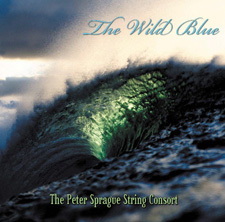 I’m heading back to the studio now to work on my new string composition. We have some concerts coming up and I always like adding new music to the bands repertoire. The new piece vibrates in 11/4 and has some cool explosions sprinkled throughout. Can’t wait to hear it in real-time! Bob Magnusson  bass 6 PM A little gig in LJ. 6:30 PM I'm thrilled to be included in this music series. It's a free concert! Duncan Moore  drums 7 PM Denise sings up a storm and we've got a stellar band to play the music from her new CD. Tripp Sprague  sax and flute 8 PM Bringing the circus to PB! Bob Magnusson  bass 4 PM I've played the house concert series at Lauren's house before and it was an amazing event. Incredible food and the outdoor setting for music is perfect. I'll get more details up soon. Tripp Sprague  sax and flute 5:30 PM Playing some trio music in a magical spot! 7:30 PM It'll be great to connect with maestro Benedetti for a magical concert in the lovely home of Julie Chippendale. We'll have intermission desserts too.